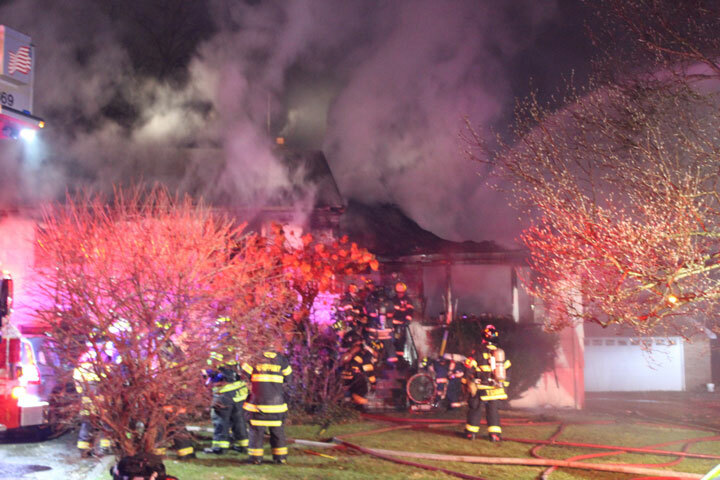 EAST HANOVER – Morris Focus was on the scene of a working house fire at 12 Kimble Place. The fire was reported at approximately 7:57 p.m. on Friday, January 4. Firefighters arrived at the scene and observed a fully engulfed fire ripping through a house according to fire officials. Fire crews were able to extinguish some of the fire in order to get into the structure where they reportedly found two unconscious and unresponsive victims inside. Both victims were pronounced dead at the scene. 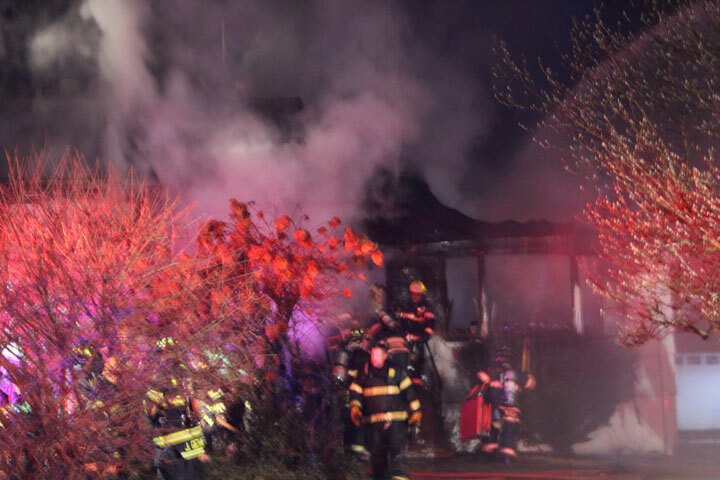 Firemen were ordered to exit the structure due to partial structure collapse of the home. East Hanover Volunteer Fire Department, Roseland Volunteer Fire Department, Livingston Fire Department, Cedar Knolls Fire Department, Whippany Fire Department, Hanover Township Fire Department, East Hanover Police Department, Roseland Police Department and Parsippany Police Department was at the scene. 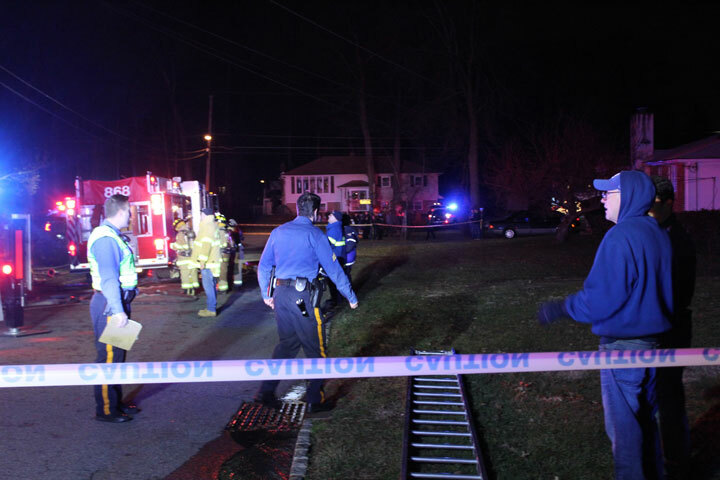 East Hanover Detective Bureau, Morris County Sheriff’s Crime Scene and Morris County Prosecutor’s Arson squad is on the scene investigating. 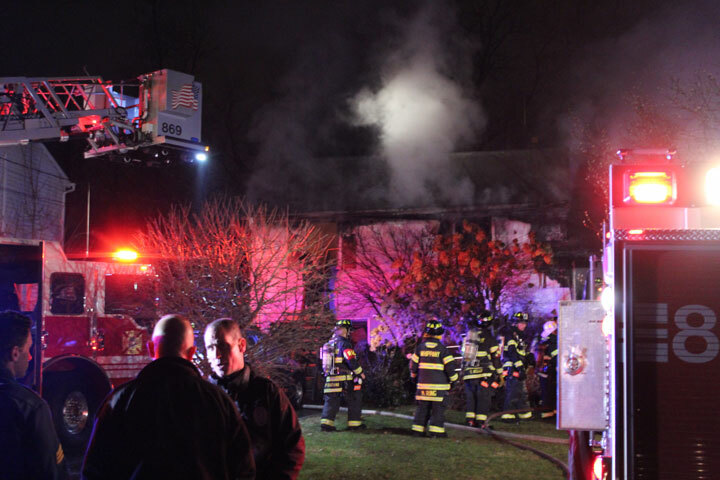 The preliminary investigation has revealed that the fire resulted in two fatalities. The investigation remains ongoing and the identities of the individuals will not be released at this time. Prosecutor Knapp would like to thank the East Hanover Police Department, the East Hanover Fire Department, the Morris County Sheriff’s Office Crime Scene Investigation Unit, the Morris County Prosecutor’s Office Fire/Environmental Unit, the Morris County Prosecutor’s Office Major Crimes Unit, and all other mutual aid for their efforts in this matter.